Our organization focuses on endorsing the game of fastball by promoting fair play and teamwork. It is of great importance to promote the sport of fastball to the youth of Nanaimo and area. The organization strives to provide an organized and safe environment for the sport of fastball. Nanaimo Minor Softball Association has been in existence, in some form, since the mid 1950’s. We have a long record of association with Softball B.C. and a track record of successfully hosting numerous tournaments locally that over the years has brought in thousands of players from around our province. We have hosted Provincial Championships annually for the past 10 years as well as intermittently previous to that. Twice, we have successfully been the venue coordinators for Softball at the B.C. Summer Games. 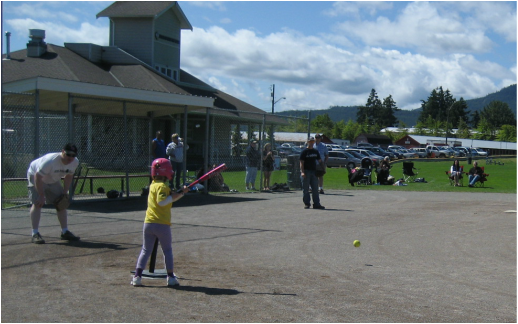 Nanaimo Minor Softball Association continually registers hundreds of Nanaimo’s youth every year. We organize all aspects of the game; we coordinate scheduling, field use, tournaments, umpiring for both the recreational and competitive players. Our organization focuses on endorsing the game of softball by promoting fair play and teamwork. If you want to have fun, meet new friends and be active, sign up for a team today! Volunteers for coaches are also welcome to apply!